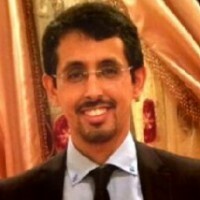 Saeed Abdullah S. Alqarni has been the Financial Control Manager for General Organization for Social Insurance since January 2011. Saeed’s responsibilities include social insurance services for beneficiaries and daily transactions of expenses and income. He obtained his Master’s Degree in Accounting from the University of Newcastle in 2010. Saeed is looking to take the next step in his career and focus on strategic decision planning based on financial data. Saeed is a highly motivated and passionate individual who enjoys traveling the world. He currently resides in Saudi Arabia and is fluent in English and Arabic.